Great music and food on Wednesdays at the Square! Go for the music or go for the food, but get yourself downtown on Wednesday evenings for the annual free concert series, Wednesdays at the Square. 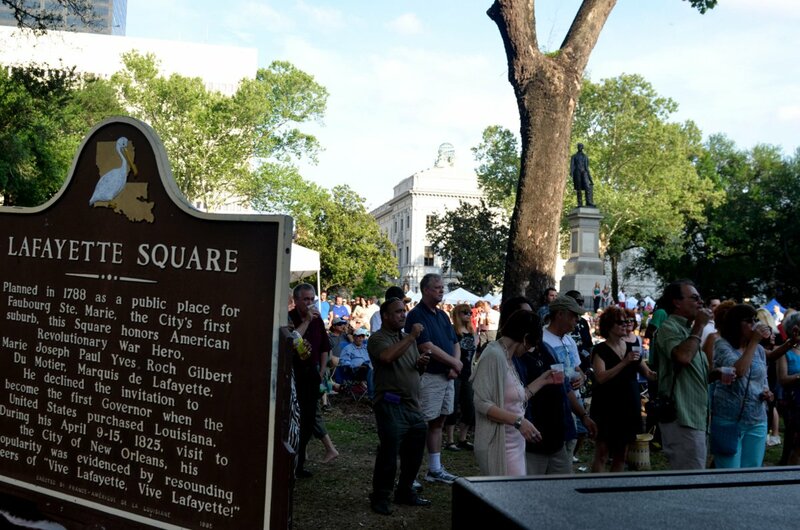 Sponsored by the Young Leadership Council, concerts are held at Lafayette Square on St. Charles Avenue every Wednesday from March 6 to May 22, 2013 from 5:00 to 8:00 pm, rain or shine. 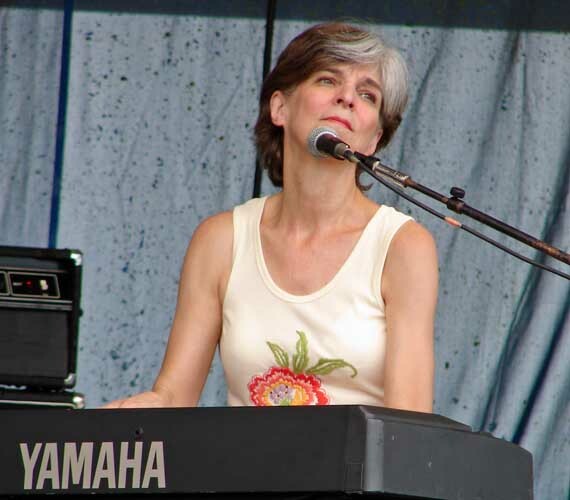 Coming Up: Marcia Ball, Irvin Mayfield, the Meters Experience, Ivan Neville’s Dumpstaphunk and more. No pets or outside food; concession sales keep it free! No need to look for parking downtown, the streetcar that passes in front of the Grand Victorian B&B will put you right in the heart of everything! Mid-week rooms available so you can hear your favorite artist, or meet a new one. 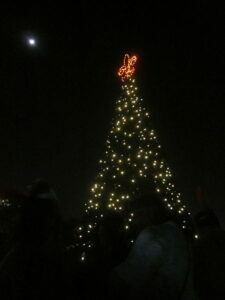 All photos courtsey of YLC’s Wednesday at the Square. 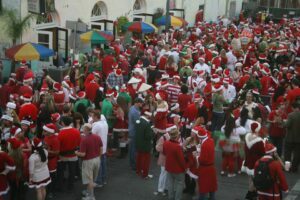 This entry was posted in Festivals and tagged festival, music, Square, Wednesdays. Bookmark the permalink. Locals spend hours pouring over and researching what acts to see at what times. Here are Wesley Hodges’ special picks for each day. The highlight is the Preservation Hall Jazz Band and many special guests including Ani Defranco and Bonnie Raitt, would be taking over the coveted responsibility of closing down the Gentilly Stage on the festival’s final day. The spot was previously held by The Radiators, who played their Jazz Fest farewell set on May 8, 2011. This article by Keith Spera shows how jam-packed each day is, living up to its promise that every year will be better than the last. 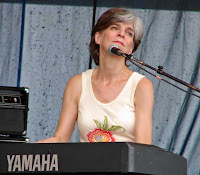 There have been many changes in the lineup; this NolaVie blog has links to previous concert appearances by some of the fill-ins that may help you decide. 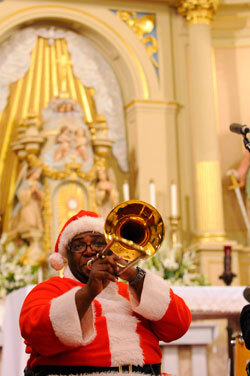 The loss of Levon Helm, Eddie Veddeer and Jill Scott has made for some interesting fill-ins. Offbeat Magazine has the cubes for download, a new and improved iphone app and the best guide to pick up when you’re in town or once you get to the hallowed Jazz Festival gates. For other suggestions on “Jazz Feasting” and other delectable items to tempt your tastebuds at this year’s Jazz Fest, check out this Gambit article for all Foodies as it provides a superior overview. We would love to have you come by and visit us at the Grand Victorian Bed & Breakfast to tell us about your experience at this year’s Jazz fest! 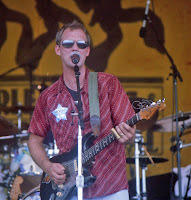 This entry was posted in Area Events, News from New Orleans and tagged Anders Osborne, festival, Jazz & Heritage Festival, Jazz Fest, Marcia Ball, music, New Orleans. Bookmark the permalink. We didn’t think it could get any hotter in New Orleans, but Essence Fest will bring up the heat July 1-3, 2011. The annual music festival celebrates contemporary African-American music and culture and is the largest of its kind. In the past, award-winning artists include Beyonce, Alicia Keys, Janet Jackson, Chris Rock, and Mary J. Blige have taken the stage in the New Orleans Superdome. This year, New Orleans is excited to welcome Usher, Charlie Wilson, Jennifer Hudson, Fantasia, Boyz II Men, and Nephew Tommy as they headline at the 2011 Essence Music Festival. After the festival, join the Big Easy in celebrating Independence Day. The Crescent City always puts on a firework show off of the Mississippi. Get a close-up view of this spectacle on New Orleans’ Paddlewheeler Creole Queen or the Steamboat Natchez. 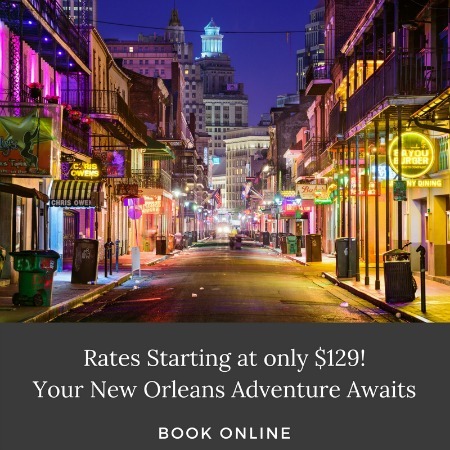 Just a streetcar ride from all this excitement is the Grand Victorian, which can provide you and your family and friends the perfect place to stay while in New Orleans. This entry was posted in Festivals and tagged Essence Fest, Fourth of July, music. Bookmark the permalink. 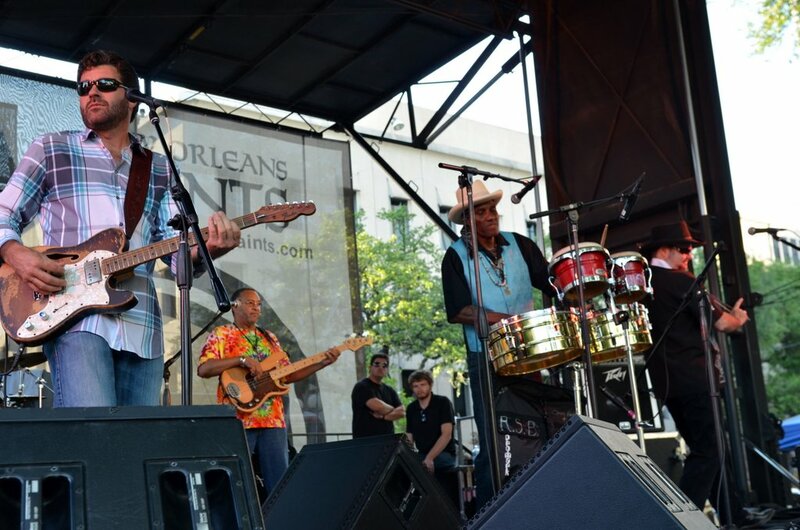 The Radiators, also referred to as The New Orleans Radiators, will be performing their farewell concert at Tipitina’s on Saturday, June 11, 2011. Featuring the original band members Camile Baudoin, Frank Bua, Dave Malone, Reggie Scanlan, and Ed Volker, the farewell concert will include the bands’ hits and thousands of covers from their start in 1978. The Radiators look to its New Orleans roots for a unique rock and R&B sound they coined as “fish head.” They began playing weekly at Luigi’s Pizza Parlor and soon became the consistent entertainment for the Krewe of Mystic Orphans and Mystics’ ball during Mardi Gras season. 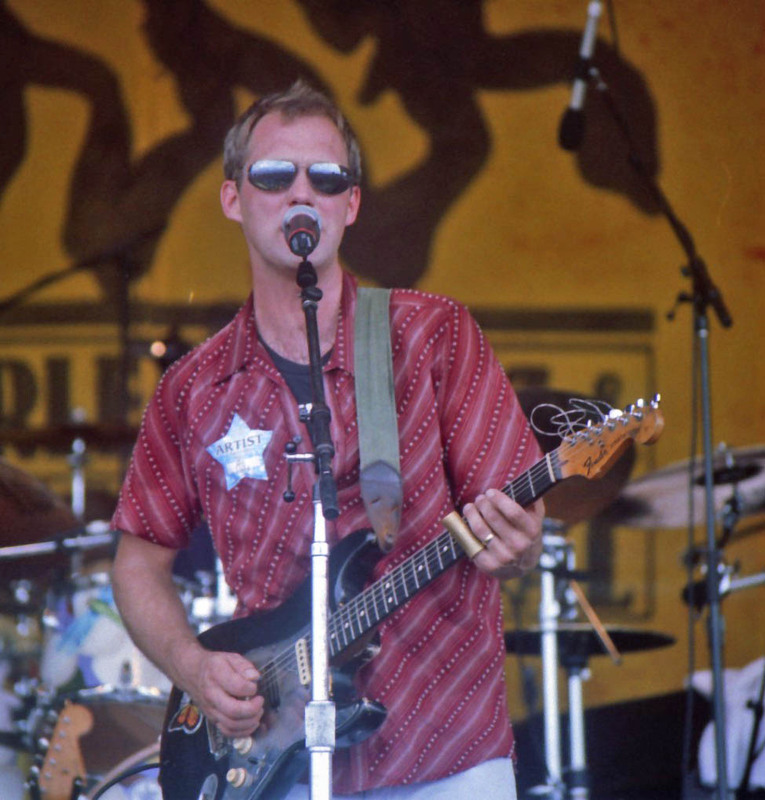 Most recently, The Radiators have been seen on MTV, VH1, and CMT for their performances at a benefit concert helping victims of Hurricane Katrina. They have also held a coveted spot as the closing performance on a main stage at the New Orleans Jazz & Heritage Festival annually for over a decade. The Radiators will commemorate their history at the venue where they recorded their first album, Tipitina’s. Enjoy the sounds of swamp rock at The Radiator’s final performance while staying at the Grand Victorian. Less than 2 miles away from Uptown Tipitina’s, it’s the premier place to stay for the original New Orleans’ band’s farewell concert. There is still availability for the weekend of June 11, but book quickly before the Grand Victorian has no vacancy! 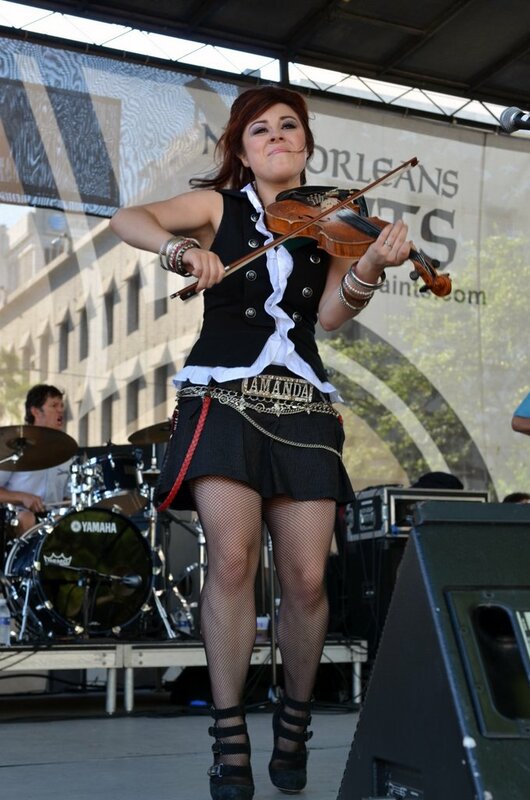 This entry was posted in Area Events and tagged music, Radiators, Tipitinas. Bookmark the permalink.